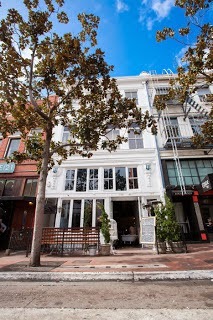 Bailiwick, the cocktail and brunch house that opened two years ago at 756 Fifth Avenue in San Diego's Gaslamp, has closed - a representative from the company confirmed today. Bailiwick opened its doors in January 2013, revamping the space previously occupied by the short-lived Alambres Mexican. There is no word yet on who or what will be taking over the beautiful building, but we'll be sure to let you know when we find out more.